The Urban Design Center is a program of the city of Raleigh, designed to apply an interactive, design-centered approach to planning issues in the city. The center’s priority is to update the downtown plan, with a focus on enhancing the walkable community of Raleigh through various design opportunities. The Downtown Raleigh Alliance is a nonprofit leadership organization focused on the revitalization of downtown Raleigh. Downtown Raleigh encompasses an area of 110 blocks, including five districts— Fayetteville Street, Moore Square, Glenwood South, Warehouse, and Capital District. The Minority Business Development Agency works to provide opportunities for minority-owned businesses. By offering tools, education, and strategic partnerships, MDBA helps minority entrepreneurs increase their global competitive advantage and their capabilities to create jobs. By using a comprehensive, multidisciplinary, and interdependent strategy, the institute strives to increase productive outcomes for groups with limited resources. The institute’s technical support, research, and information activities are structured to foster business, community, and educational/leadership development. Centennial Campus opened in 1988 and is the first of its kind in the nation. Centennial Campus is North Carolina State University’s vision of the future. It is a research and advanced technology community where university, industry, and government partners interact in multidisciplinary programs directed toward the solution of contemporary problems. This “technopolis” consists of multi-disciplinary neighborhoods, with university, corporate, and government facilities intertwined. A middle school, residential housing, executive conference center and hotel, golf course, town center, and recreational amenities will weave the campus into a true interactive community. This 1,334-acre campus is home to 73 NC State research centers, institutes, laboratories, and department units. Existing tenants include NCSU’s College of Textiles, the Regional Forecast Office for the NOAA National Weather Service, and ABB Inc. among various others. The Raleigh City Council and Southeast Raleigh Assembly created the Raleigh Area Development Authority to support economic growth in southeast Raleigh and other areas of the city in need of economic revitalization. Its mandate is to achieve this by providing real estate and business development loans and investments that facilitate growth in the area. Raleigh Economic Development is a partnership between the city of Raleigh and the Greater Raleigh Chamber of Commerce. The primary purpose of the program is to support job creation and capital investment in Raleigh by working closely with companies, site selection consultants, and real estate professionals. 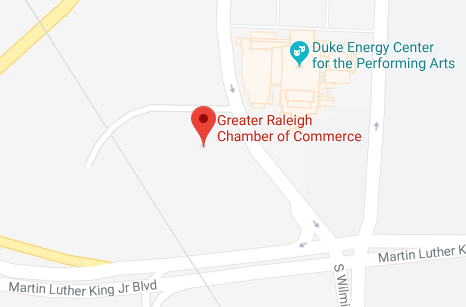 As part of the Southeast Raleigh Economic Development Strategy, the Raleigh City Council approved a new organizational structure in March 2001, known as the Southeast Raleigh Assembly, to ensure that economic development initiatives include participation by key stakeholders and community representatives. The assembly, based on a report prepared by Hammer Siler George Associates, is intended to concentrate on long-term economic development. Wake County Economic Development, a program of the Greater Raleigh Chamber of Commerce, is Wake Country’s lead economic development agency. WCED assists businesses with relocation and expansion plans, markets Wake County as one of the best places to live in the country, and provides information on Wake County and its 12 municipalities. The Women’s Business Center of North Carolina is a partnership program between the North Carolina Institute of Minority Economic Development and the U.S. Small Business Administration. The center’s mission is to promote economic self-sufficiency for all women of North Carolina through entrepreneurship.